Professor Blodgett joined the faculty in 2013 and teaches in the undergraduate and graduate programs. He is a board-certified adult-gerontology acute care nurse practitioner with a passion for improving health care for hospitalized older adults. His teaching interests are diverse and include geriatrics, medical-surgical nursing, and research methods. Professor Blodgett uses active teaching strategies, including simulation, case-based learning, and problem-based learning. Professor Blodgett has a clinical background as a staff nurse in inpatient gastroenterology, hepatology, nephrology, and infectious disease. He also practiced for six years as a hospital-based geriatrics clinical nurse specialist. He is currently employed as a hospitalist nurse practitioner. Professor Blodgett has two areas of research interest, including the prevention of catheter-associated urinary tract infections in hospitalized adults, and identifying risk factors for injury in hospitalized older adults with delirium. 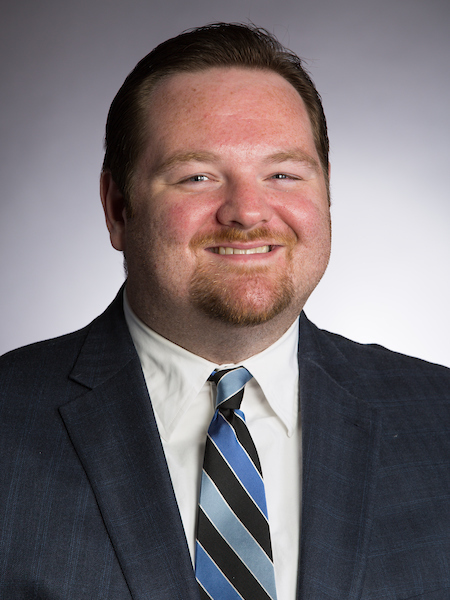 Professor Blodgett has published in peer-reviewed journals and presented at local, state, and national conferences. He has received grant funding from the Wheat Ridge Foundation, the National Institute of Nursing Research at the National Institutes of Health, and the John A. Hartford Foundation. Professor Blodgett is an active member of the American Nurses Association (ANA), the Indiana State Nurses Association (ISNA), the Midwest Nursing Research Society (MNRS), Sigma Theta Tau International, and the International Nursing Association of Clinical Simulation Learning (INACSL). Blodgett, N.P., Blodgett, T.J., & Kardong-Edgren, S.E. (2018). A proposed model for simulation faculty workload determination. Clinical Simulation in Nursing, 18, 20–27. Blodgett, T.J. (2017). Book review: Contemporary nursing knowledge: Analysis and evaluation of nursing models and theories. Nursing Science Quarterly, 30, 278–279.